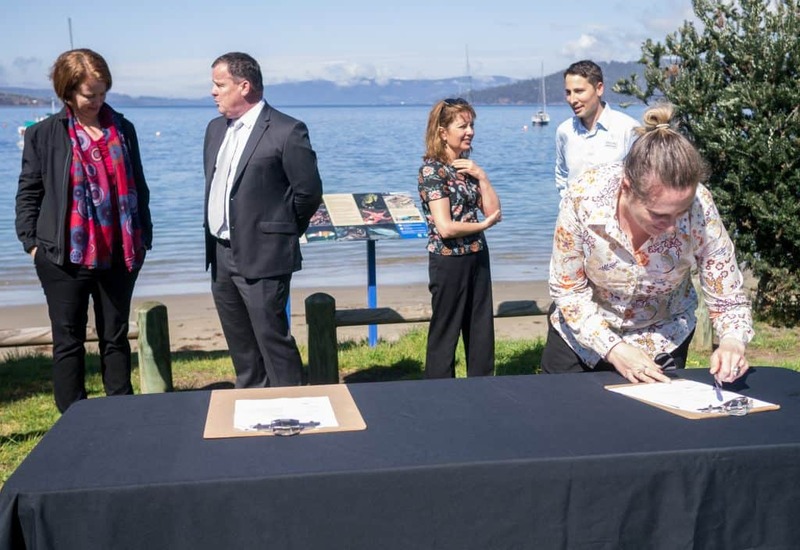 In December 2015, an innovative partnership agreement was signed between industry, government and natural resource managers. 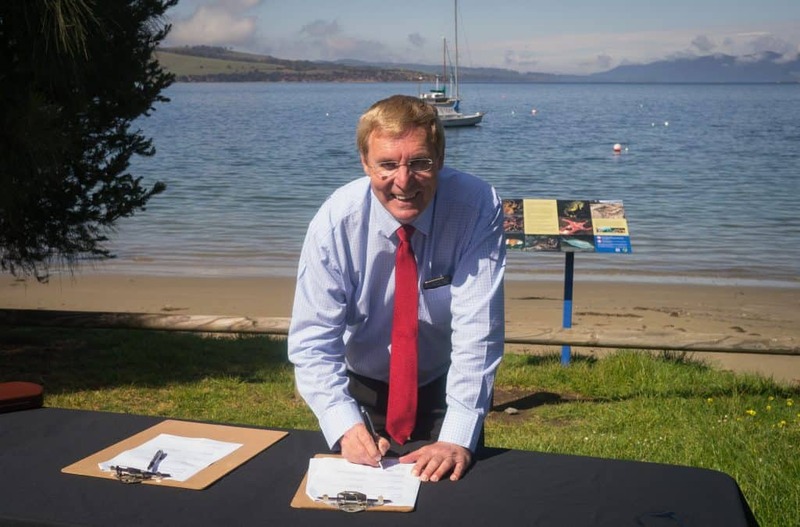 The partnership provides a framework for collaboration to support and enhance natural diversity and improve the condition of the D’Entrecasteaux Channel and Huon Estuary. Today, DHC partners convened at Tinderbox to renew their commitment to this ongoing partnership to 2020. 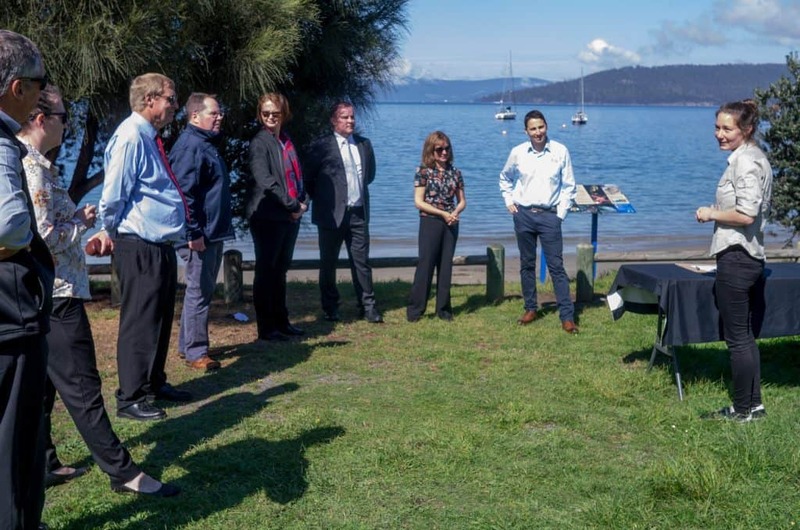 The D’Entrecasteaux and Huon Collaboration is made up of representatives from the region’s two salmon farmers – Huon Aquaculture and Tassal – as well as Kingborough and Huon Valley Councils, TasWater, the Derwent Estuary Program and NRM South. 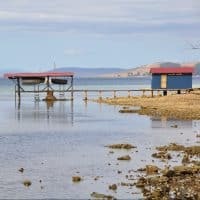 Much of the Collaboration’s activity directly supports a biennial report card on the condition of the D’Entrecasteaux and Huon waterways, focusing on water quality and sediment health, waterway use, coastal and marine habitats, and climate. The first report card was released in 2016, and the most recent report card will be available later this year. 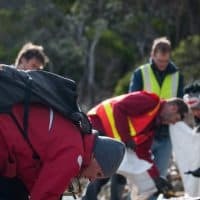 The Collaboration will continue working on marine debris projects – which have to date removed over 50m3 of debris from the Huon and D’Entrecasteaux waterways and coastlines – alongside projects to improve the condition of coastal, marine and estuarine environments. 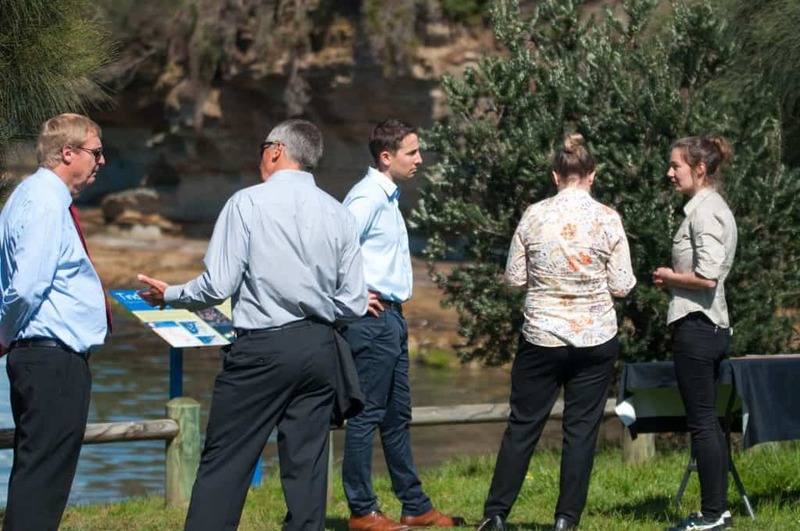 Through this partnership, the DHC has changed the way waterway information is shared and how on-ground projects are delivered. 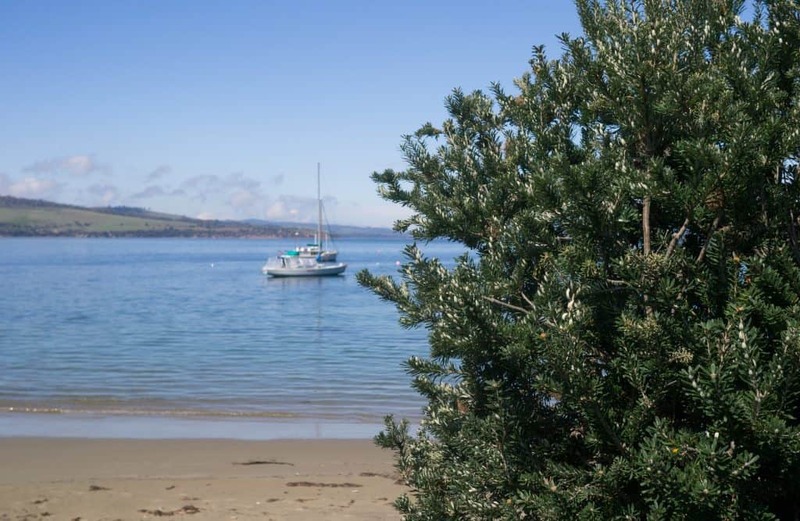 The collaborative approach has contributed to ecologically sustainable aquaculture production; safeguarding valuable marine ecosystems, ensuring the long-term viability of seafood supply and supporting the businesses and local communities that depend on a healthy marine environment. 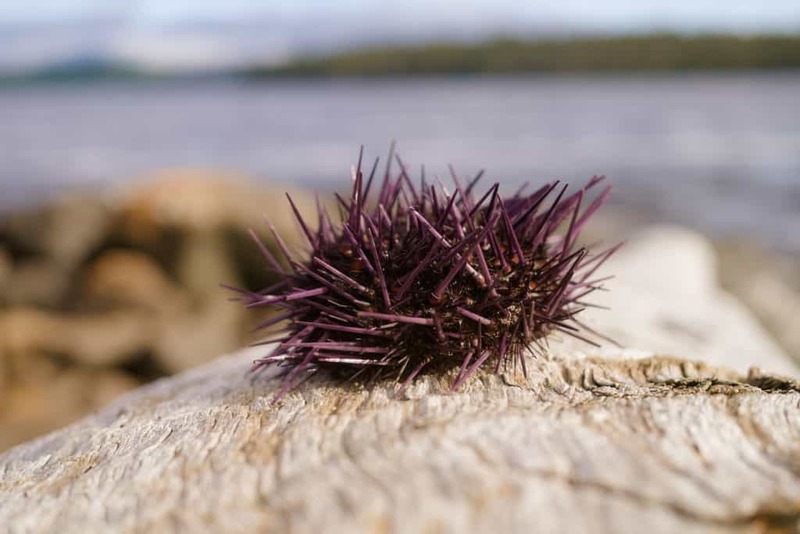 The DHC assists seafood businesses to have meaningful communications with all stakeholders and meet their international standards in sustainable aquaculture production. 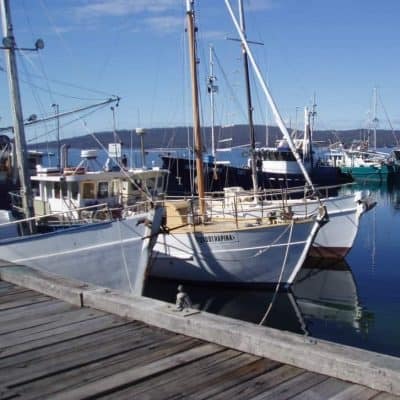 This project is supported through funding from the D’Entrecasteaux and Huon Collaboration partners – NRM South, the Derwent Estuary Program, Huon Aquaculture, Huon Valley and Kingborough Councils, Tassal and TasWater.